Mr. HILLIER served his apprenticeship with Messrs. Vickers, Ltd., at Barrow-in-Furness. In 1919, he joined the Contraflo Condenser and Kinetic Air Pump Company, London, as chief draughtsman, and was later appointed assistant manager of that company. In 1930, he joined Messrs. G. and J. Weir, Ltd., Glasgow, and was appointed their chief executive engineer. He is, at present, the Engineering and Technical Director of Messrs. G. and J. Weir, a position which he has held since 1933. In the 1943 Birthday Honours, Mr. Hillier was awarded the O.B.E. for services to the Admiralty and the Ministry of Supply. He is a Member of the Committee of the Scottish Branch and is serving on several Committees of the Armament Research Advisory Board, the Mechanical Engineering Research Board, and other National bodies. ENGINEERS, especially those concerned with the construction of steam plant, will have learned with a sense of loss of the death of Mr. Harold Hillier, the engineering and technical director of G. and J. Weir, Ltd., of Cathcart, Glasgow. Mr. Hillier, who died on August 27th in his sixty-fifth year, was born at Barrow-in-Furness on July 25, 1891, and served his apprenticeship with Vickers, Ltd., Barrow, where he gained practical experience in all departments of the engine works. His theoretical knowledge was acquired at the Barrow Technical College, and subsequent to the completion of his studies he continued for a number of years as a teacher of applied mechanics in the same college. After completing his apprenticeship Mr. Hillier entered the drawing office, where he was engaged in various capacities for the next eight years until 1919, when he left to become chief draughtsman of the Contraflo Condenser and Kinematic Air Pump Company, Ltd. In 1925 he became assistant manager of the company and was responsible for the design of steam condensing, feed heating evaporating, and de-aerating plants. He joined G. and J. Weir, Ltd., when that company acquired the business of the Contraflo Engineering Company, Ltd., in 1930, as technical assistant to the board of directors and was later appointed chief executive engineer responsible for the design and performance of all the company's products. Some three years later he was appointed to the board and continued in control of research and design work and technical development. Mr. Hillier was a member of the Institution of Mechanical Engineers, the Institute of Marine Engineers, the Institution of Engineers and Shipbuilders in Scotland, and the North-East Coast Institution of Engineers and Shipbuilders before which he presented a number of papers which dealt authoritatively with steam plant. In 1948 he was awarded the Thomas Hawksley Gold Medal, in the following year the Willans Premium for his paper "Feed Distribution and Hunting in Marine Watertube Boilers." For his contribution to ma~e engineering, particularly auxiliary machinery, communicated in part in his paper "Scale Formation in Sea-Water Distilling Plants and its Prevention," he was awarded the James Clayton Prize in 1953. This paper and that previously mentioned were presented before the Institution of Mechanical Engineers. During the last war Mr. Hillier acted as a consultant to the Admiralty and also served on various committees dealing with weapon design, his services recognised by the award of the O.B.E. in 1943. 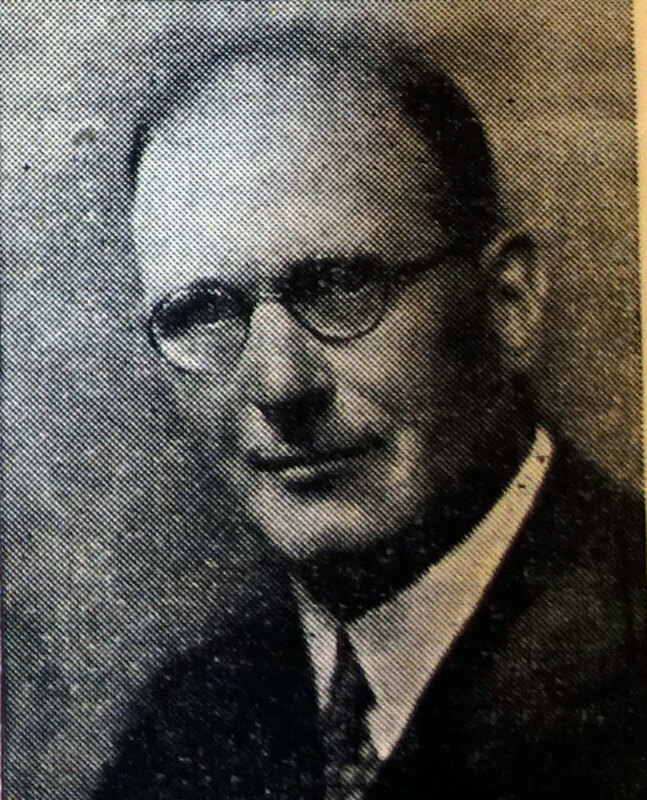 Harold Hillier, O.B.E., was the engineering and technical director of G. and J. Weir, Ltd., Cathcart, Glasgow, from 1933. Later he was appointed to the board, and continued in control of research and design work and the technical department. During the 1939-45 war he served on various Committees dealing with weapon design, for which he was decorated with the Order of the British Empire. For his Paper on 'Feed distribution and hunting in marine water-tube boilers' he was awarded the Thomas Hawksley Gold Medal in 1948, and in the following year the Willans Premium, and in 1953 he received the James Clayton Prize for his contribution to marine engineering. His theoretical knowledge was acquired at the Barrow Technical College, where he continued for some years as a teacher of applied mechanics, and he served an apprenticeship with Vickers, Ltd., Barrow-in-Furness. Upon completion of this he entered their drawing office where he was engaged in various capacities for the next eight years, when he became chief draughtsman with the Contraflo Condenser and Kinetic Air Pump Company, Ltd., London. In 1925 he was appointed assistant manager, and when the company was acquired by G. and J. Weir, Ltd. in 1930 he joined as technical assistant to the board of directors, later being appointed chief executive engineer. He was elected a Member of the Institution in 1942, and for several years as a member of the Committee of the Scottish Branch. He was also a Member of the Institute of Marine Engineers, and the Institution of Engineers and Shipbuilders in Scotland. His death occurred on 27th August, 1955, in his sixty-fifth year. This page was last edited on 31 July 2015, at 12:19.